First, we put our hope in God, not in earthly persons. It bothers me when Christians carelessly throw in the Bible and quotes verses loosely to prove that God had already ordained Trump to be President. With lots of biblical references and spiritual rhetoric, they talk as if God had used the new President-Elect to lead them into the promised land. That premise only holds true if America is the new Israel. That is most unfortunate and somewhat presumptuous. According to renowned Old Testament scholar, Walter Brueggemann, there are at least three groups of people who claim to be the chosen. The first group are Christians who claim they are the "newly chosen" to the point of dismissing all others. The second group are those who claim "Americans are the most recently chosen," and the third who claimed that it is the "poor who are perennially chosen." All three claims will have counter-claims. Jews would protest against the notion of Christians only being the "new Israel." The Russians would argue against America being the chosen nation politically. The world outside of Latin America and the poorer economies would protest against the third view. Brueggemann concurs with Todd Gitlin and Liel Leibovitz that hanging on and proclaiming such definitions dogmatically would lead to negative consequences. He writes: "To cast some as chosen may evoke endless hostility toward others’ lives at the brink of violence. " We should not elevate the President-Elect above Jesus, for doing so would be idolatry. It is one thing to honour the winner of the recent elections. It is yet another to put our hopes on a mortal man. We should always put our hopes in God and God alone. We can seek to understand but not walk in step with public opinion. We can choose to empathize with but not necessarily accept secular perspectives. We can acknowledge the presence of mockers but not participate in their vulgarity and loud protests. Our delight must be in God's Word and our actions be guided by God's love. The media may be biased to their own agendas. We must always be guided by the Word. Perhaps, about this "How could we have been so wrong?" about Trump winning, the same could be said about their largely negative perceptions of evangelical Christianity? 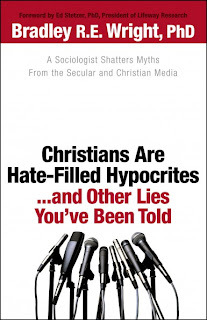 In fact, from what I have been reading so far, the media are zooming in on a few vocal evangelicals and are broadly brushing the entire evangelical community for being Trump supporters. That is simply not true. A lot of Christians I know do not support Trump. Beware of any media that cynically spin-reports a minority and projects it as a majority. The polls have been proven wrong for this elections and they could be wrong again. Fourth, give people room to express their unhappiness. In a winners-take-all world, it is arduous to swallow a bitter pill of defeat. With protestors up in arms, calls are even made to change the existing electoral system. No matter where we stand, I believe we must be gracious to give people room to vent their frustrations. Disappointment and grief are real human emotions. It can come across as complaining. It can also be viewed as whining. We must learn to be gracious in our response and to allow space for expression, as long as they are done within the law, in legitimate ways, and without violence. Say what we want but remember to be responsible for what we say, especially when we start inciting others to do things. Fifth, we must start building bridges of reconciliation from all sides. The elections are over. The winner has been declared. That does not mean that the losing party can be silenced. In fact, the work is only beginning. For some, the next elections will be in 2020. If the President-Elect fails to deliver on his promises, citizens can always vote him out. Until then, it is imperative that we stand behind him and support his efforts to unite the nation and to build good relationships with their neighbours. Trump is no longer a candidate. Neither is he a mere rich businessman. 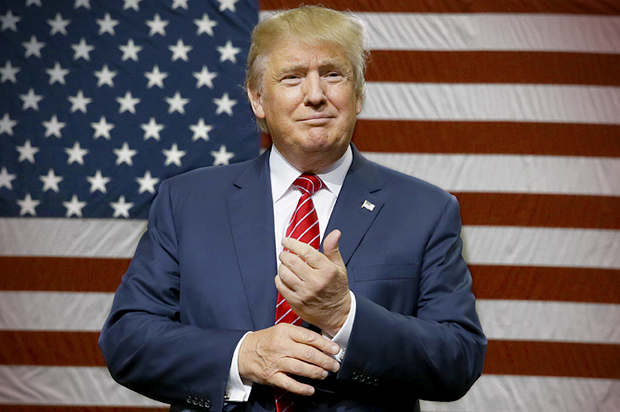 He is now the President-Elect, to be sworn in official as the Commander-in-Chief on Jan 20th, 2017. The world can only watch and wait for his next steps. At the meantime, the Church can pray. The Church can continue to speak up for the rights of people all over the world. More importantly, the Church must continue to be the conscience of the state. Ordinary believers from all sides of the divide can come together to pray for wisdom and discernment for Trump. He has won the elections fair and square. He is now in authority. Do not be distracted by his past statements about various things. Measure him on what he will be doing now and the future. Hold him accountable. We want him to succeed because we want America to succeed. More importantly, we want God's will to be done and this will is based not on human persons but on the Holy Word of God. Let me close with the famous words of Dr Martin Luther King Jr.
May we learn not to rise up to control the state. Neither is it being controlled by trigger-happy secularism or the enemies of the gospel. Let us stand up to let the conscience of Christ reign supreme in our words and our works. Whether you are for or against Trump or Clinton, it's reconciliation time. The Presidential office is greater than any one perspective, larger than any one party, and definitely bigger than any one person. Now the results are out, we need to pray for the President-Elect and support him as much as possible. Yes, we must still hold him accountable. We must continue to stand against any forms of bigotry. We must all look forward and move on. May all evangelicals pray with grace and wisdom.